Hi there, my name is Amy! I am a experienced and professional pet sitter and dog walker covering the Redlands City and surrounding areas. 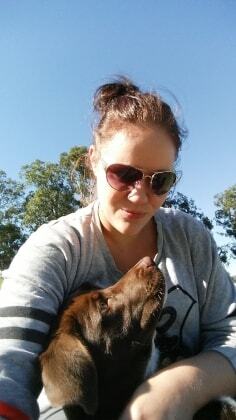 I have over 4 years pet sitting, dog handling and animal care experience. I have a passion for animals and want to make sure your pets are happy and safe whilst you're away ... and I'll make sure you know it by sending daily updates and photos! Prices may be negotiable for long booking (5 days or more) or twice daily visits, please message me for information. My Services include: Home visits - 30 mins or 1 hour, Dog Walk - 30 mins or 1 hour & House Sitting - 12 hours overnight (i.e. 6pm-6am) Whilst I do have my own pets I do not bring them with me when visiting your animals, if house sitting for you my pets stay with my partner at home for everyone's comfort and safety. Thank you and I look forward to hearing from you. Thanks for looking after our boys again. This is the second time Amy has looked after our boys and cannot recommend her enough!!! We get lovely pictures of our boys each day Amy visit which makes it much more comforting to know our boys are in safe hands. Amy is wonderful. I have no hesitation in recommending her.